Home » Madrid » Tours around Madrid » CUENCA, THE ENCHANTED CITY. 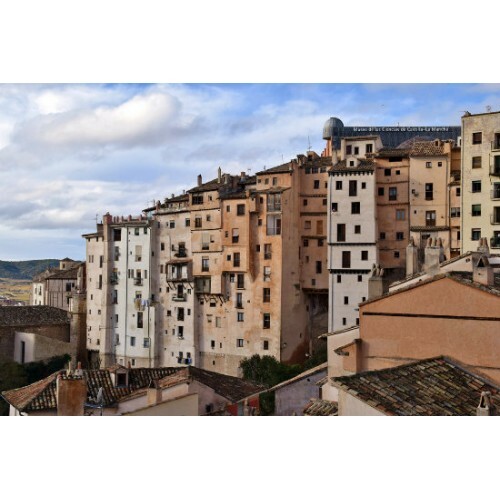 Activity: Visit to the city of Cuenca . Services: Heated Coaches, Official Tourist Guides and choosen lunch. Departure: Monday, Thursday and Saturday. Departure Time: Morning 8:45 am. Starting point: terminal at Plaza de Oriente, 8. Conditions: Advance booking required. Cancellation fee: 100% for less than 24 hours notice or no-shows. 2 people min. Languages: Spanish and English. Information: We recommend wearing comfortable shoes. Discover the monumental and historical heritage of the city of Cuenca, declared a World Heritage Site by UNESCO. 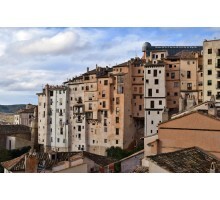 Cuenca, the Enchanted city, is one of the cities with the most material and immaterial wealth in Spain. The Heritage Basin, the Hanging Basin, is a city built on a tongue of land between the gorges of the Júcar and Huécar rivers, which give an unparalleled natural framework to an urbanism anchored in time. 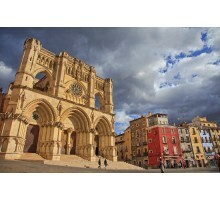 Cuenca highlights its Gothic cathedral, the Hanging Houses, the Bridge of San Pablo, a walk full of history and beauty. 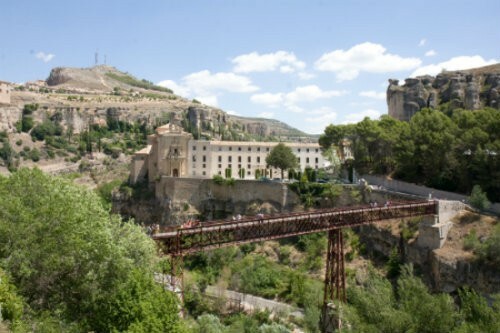 There is only one phrase that can describe everything that this city contains and offers the visitor with pleasure: Cuenca is unique. Lunch option in a typical restaurant. TOURIST LUNCH: First: Salad from the garden. Second: Pork Rib roasted in the Cuenca style. Dessert: Torrijas. Water, wine and bread. TYPICAL LUNCH: Typical starters. Second: Baked lamb. Dessert: Torrijas. Water, wine and bread. * Child Lunch: Macaroni with tomato, steak with potatoes and ice cream. Water and bread. The menus may be modified without prior notice. Once the tour is finished, return to the WAMOS TERMINAL.